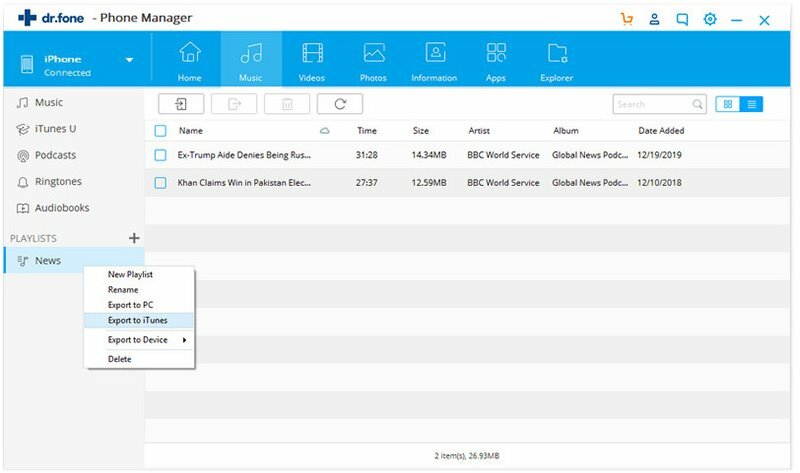 Before considering to copy your iPhone playlists over to iTunes, you’ll have to keep in mind that in order for your playlists to play smoothly, you have to have the music that your playlists contain. 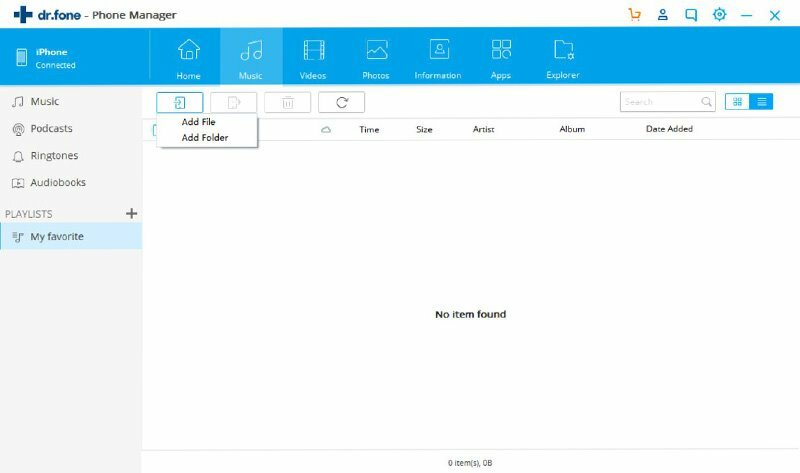 If you're not sure about it, don't worry, try iSkysoft Toolbox - Transfer (iOS). It will help you copy playlists from your iPhone to iTunes with tunes. And you'll find no problem of playing the playlists on your computer. Below are the simple steps. Streamline your music life by enabing you to share music anywhere at any time! Copy playlists from iPhone to iTunes with tunes. 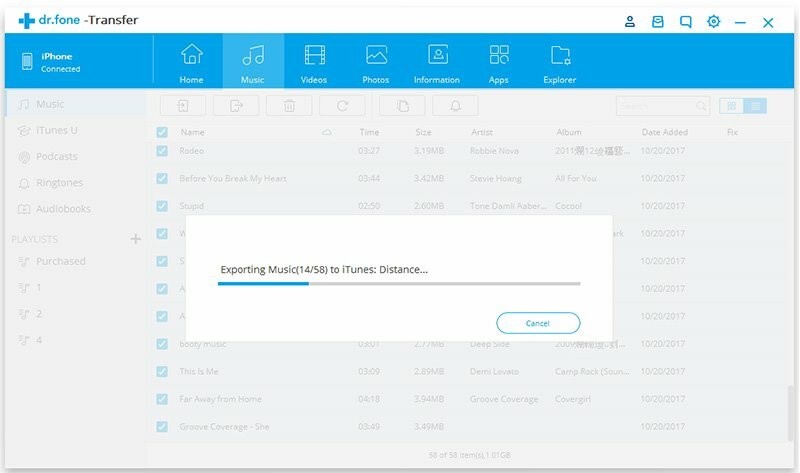 Export songs from iPhone to iTunes without duplicate. Share music between any iPhone, iPad and iPod. When your device is successfully connected, hit Music tab and then choose Playlist, you will see all the music playlists on the main interface. 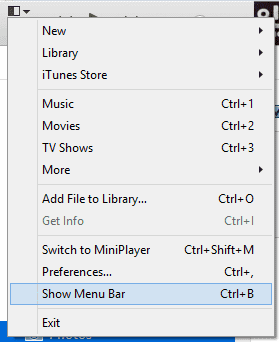 You can also add file to the playlist, add new playlist, or remove the unwanted ones using the Delete button. 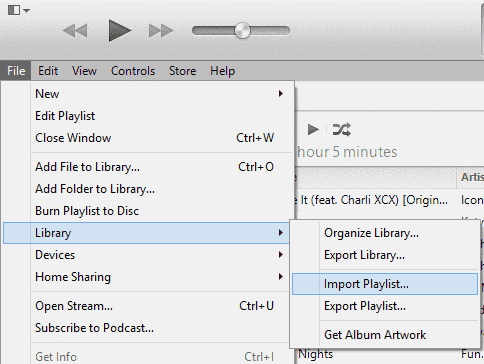 Now, select the playlists needed and click Export button, you can choose to export the playlist to PC or iTunes. Connect your iPhone with your computer. On the top of iTunes, click your iPhone icon. After then, you can see all playlists on your iPhone displayed in the left side of the window. 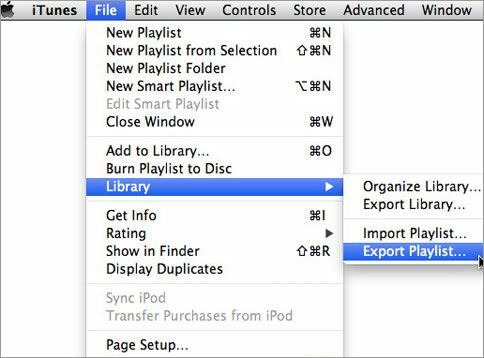 Click to select a playlist > click "File" > "Library" > "Export" in the iTunes menu to save the playlist as a text file on your computer.